Pin Trading is a favorite activity for many Disney park guests. It gives you a chance to interact with Cast Members and other pin trading enthusiasts and they are great souvenirs that can showcase your favorite characters, rides or Disney events. 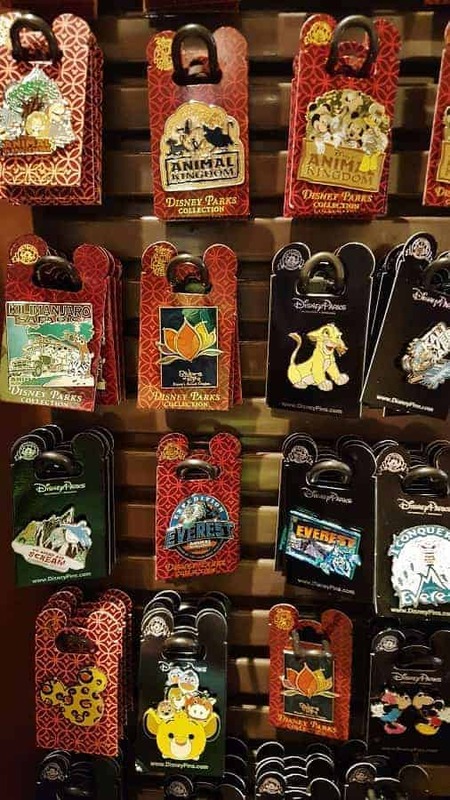 If you are traveling with someone who loves to pin trade, be sure to stop by Pin Traders in Disney Springs. Pin Traders has quite possibly the largest Disney pin trading selection in Walt Disney World. Here you will find that pins are sectioned off in several sections, each with a specific category. You will find pins for Disney resorts, popular Disney rides and attractions, and your favorite Disney characters! There are even pins for the Holiday parties! There is certainly something for everyone! 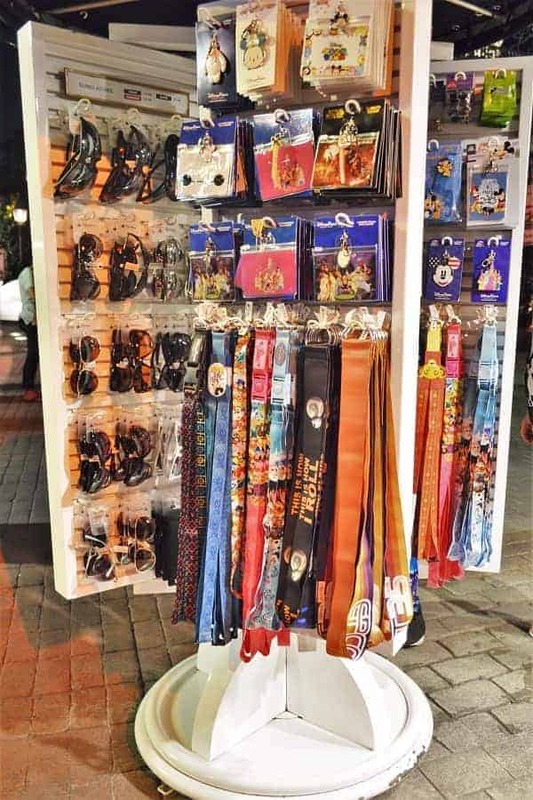 They also have a huge collection of pin lanyards. You can also save quite a bit if you purchase Mystery Collectible Pin packs which run $11.95+ but contain more than one pin. These pins are much simpler in style, but are perfect for those starting a generic collection or traders who just want pins on the cheap to trade. What sets this pin shop apart from the rest is that Pin Traders even has a top secret trading collection that they open up to the public throughout the day. This “vault” is filled with pins that other pin enthusiasts have traded through the years. Pin Traders won’t have the vault open all day long and won’t tell you when it will open. It is one of those Hidden Gems you just have to hope to find available when you are there. Most Disney Pins range from $7.95 and up, but Disney Pin Traders often runs a deal where you can get a secret pins for $4.95 when you make a qualifying purchase (usually $30 or so). This is a great deal that you should take advantage of. Many times these are Hidden Mickey pins that are really fun to collect. Do you pin trade or collect a specific type of Disney pins? Pin trading is a fun activity that your kids will definitely enjoy! We started collecting pins on our 1st Disney Cruise. It was a way to remember the ship we sailed on, or that we sailed during the holidays, etc. We visited Disney World and bought pins to commemorate that visit. It wasn’t until our 2015 cruise that we decided to do a little trading, not for specific collections, but to collect pins we saw and liked. There was a special Officer Pin Trading day and both retail stores on board had pin trading books. As we purchase & trade, we may discover collections that we like enough to complete, but for now the trading itself is a lot of fun! Whenever we cruise, we make sure to hit the Officer Pin Trading event too because it is so much fun! The kids also love going from store to store to check out the pin books because they seem to change each day with everyone trading in & out of them.